Hello Mamas! 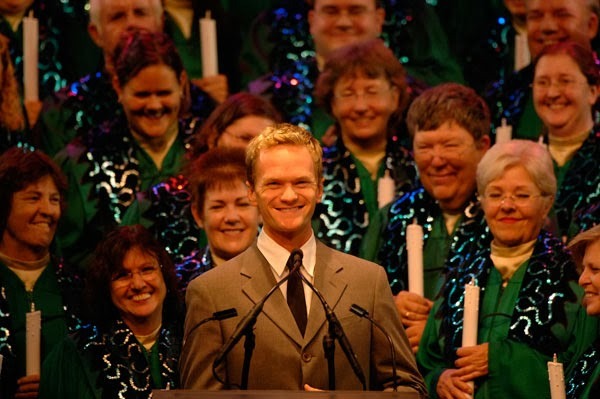 Today we are going to discuss the Candlelight Processional. 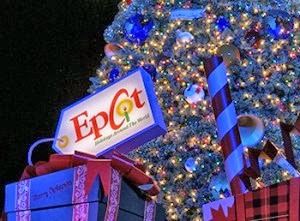 It is one of my very favorite holiday events at Walt Disney World. It runs from November 29th through December 30th for 2013. Each night a celebrity narrator reads the Bible story of the birth of Christ. Each night has amazing choirs that perform as well with traditional Christmas songs. It is one of the most beautiful performances you will ever see. Each night there are three performances. People will line up for hours to get into the show which is held in Epcot at the America Gardens Theatre. There is another way to guarantee seating to the performance-the Candlelight Processional Dinner Package. I highly recommend doing this. If you are on the dining plan, it takes two table service credits and is so worth it! The show times are 5, 6:45, and 8:15 PM. If you are doing the earlier show you actually have lunch as part of the package instead of dinner. The participating restaurants this year are: Biergarten, Chefs de France, Coral Reef, The Garden Grill, La Hacienda de San Angel, Nine Dragons, Restaurant Marrakesh, Rose & Crown Pub Dining Room, San Angel Inn, Teppan Edo, Tokyo Dining, Tutto Italia, and Via Napoli. Some of these will already be sold out for select dates but there are still seats available for a lot of these. Your Candlelight Dinner Package will include lunch or dinner at one of these restaurants, either a three course meal or a buffet depending upon the restaurant, VIP seating for the Candlelight Processional, and special viewing locations for Illuminations. Keep in mind while the seating is VIP seating, it is not a reserved seat. You are guaranteed a seat and the location is good but you will choose a seat when you arrive. I consider the Candlelight Dinner package the way to go! It takes the stress out of the evening. You have to eat anyhow and I definitely think it is worth two table service credits to be guaranteed a seat at the show as well as special viewing locations for Illuminations. This is a must do for all ages, though if you have little ones you might want to consider doing lunch and then earlier show instead of the dinner options. It is also a little less expensive to go that route too.